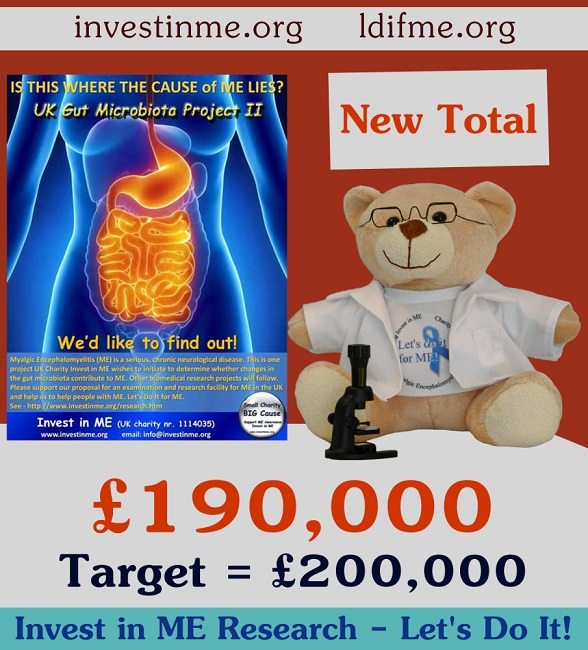 A new update to our gut microbiota and related projects being performed at the UK Centre of Excellence for ME in Norwich Research Park brings the total raised so far for projects there to £190,000. A foundation of biomedical research is now firmly established with 5 PhDs participating in biomedical research into ME and preparations being made for a UK clinical trial of rituximab. With enough support this can be achieved. Our mascot, Professor Ldifme, was created by Jan Laverick of the Let's Do It For ME team.